I’ve decided to update this post on the best cameras under $500 for 2019 to help you find an affordable camera that performs well. Introducing you to the best cameras for under 500 bucks is important for me as a professional photographer, since I want you to experience photography without the huge price tag. Whilst there’s plenty of cheap camera gear available, the selection below are cameras I recommend as being excellent value for money, all for less than $500. I tried to only select the best digital cameras under $500 – the exceptions are where a lens is included in the price, stretching the budget very slightly. The cameras selected below all offer excellent build quality, image quality, handling and value for money… often performing far better than you’d expect for their sub-$500 price. If you’re able to stretch your budget a little further, I recommend you check out the best mirrorless cameras available in 2019, which offer some great benefits. 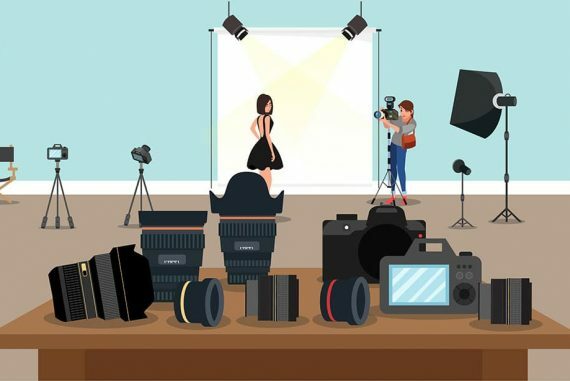 Whilst DSLRs and compact cameras still have their place, investing in one of the latest mirrorless camera systems will help most to future-proof your purchase. Read on below to see my reviews of cameras under 500 dollars. I’ve also included some videos on each camera that I think you’ll find useful – be sure to check out each YouTuber’s channel for more great content. [Locker] The locker [id=19407] doesn't exist or the default lockers were deleted. 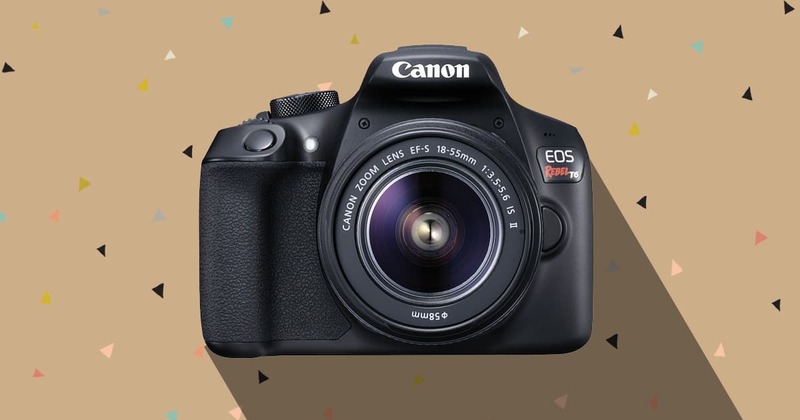 Despite the growth in popularity of mirrorless cameras, the humble DSLR camera still has pride of place as the number one format in use by photographers in 2019. DSLR technology may be getting long in the tooth, but for the time being at least, nothing beats looking through an OVF (Optical ViewFinder) to take a photo. DSLRs typically offer better ergonomics, longer battery life, more competitive pricing, and better reliability, so recommending a handful of the best DSLR cameras under 500 bucks was a no-brainer. Let me preface this review with one caveat – you may struggle to get hold of this excellent entry-level Nikon DSLR. At the time of writing, only a few ‘refurbished’ models are available here, with the stock quickly dwindling. 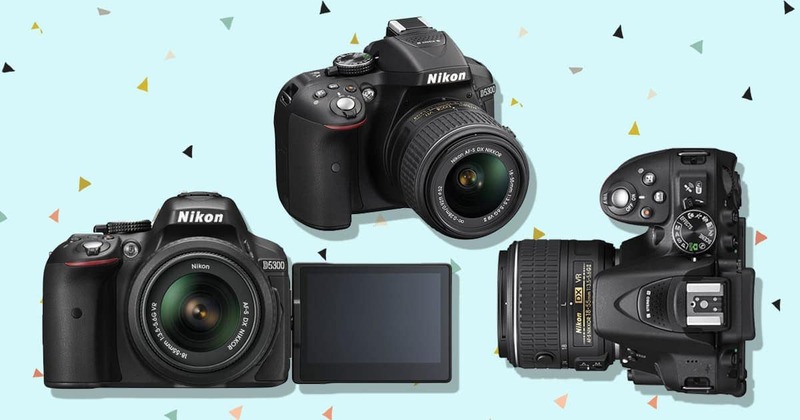 The popularity of the Nikon D3400 with 18-55mm lens has mainly been due to its price – for less than $500, you’re getting a helluva-lot of camera for your money! I’m a big fan of entry-level DSLR cameras. Typically, the technology from the more expensive ‘flag-ship’ models trickles down the ranks, so the cheaper cameras in the line up can also take advantage of class-leading features. I tested a Nikon D3400 over the holidays and was very impressed with its performance (see my Nikon D3400 review). Coming from a DSLR costing 5x the price, I did of course miss all the bells and whistles of my pro-level camera, but this compact DSLR still did a fine job. I say ‘compact’, but entry-level DSLRs are more like a jacket-pocket-size. They’re light and small enough to palm easily, but still retain excellent ergonomics, providing adequate comfort for all day shooting – this isn’t the case with most mirrorless cameras and compact cameras. 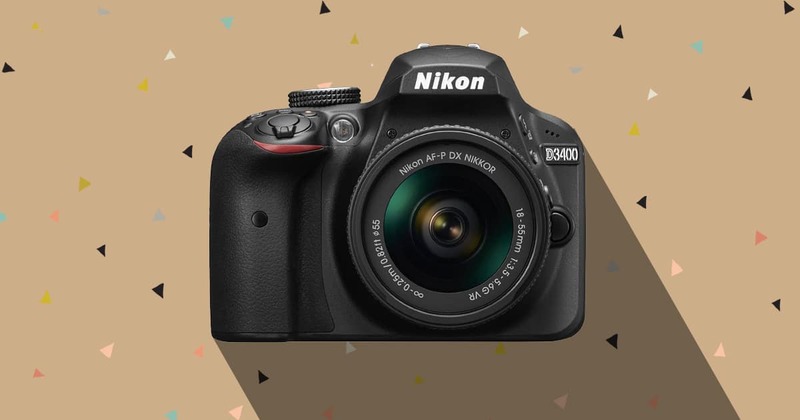 With its 24.3MP sensor and high-tech image processor, the Nikon D3400 delivers great looking RAW and JPEG images, which are large enough to allow you to zoom in on all the details. Having a lot of megapixels allow you to ‘crop’ in to a photo after you’ve taken it, effectively allowing you to ‘zoom’ in on your subject and still retain decent quality. They also allow you to blow up your prints to be displayed on your wall, which is exactly what I intend to do with a shot of my son taken with this camera – full review and sample photos coming soon. Auto-focus on the Nikon D3400 is decent too, with 5 fps continuous shooting – more than enough to keep up with fast-moving kids or pets. The 11 AF points are quite sparse in frame coverage, so I recommend the focus-recompose technique over individually selecting focus point. The camera’s ‘guide mode’ is perfect for beginners, teaching you how to shoot in various situations. This is one of the main reasons I chose this camera as one of the best cameras for beginners in 2019. as well as naming it one of the best entry level DSLR cameras too. Battery life is excellent, at approximately 1,200 shots per charge – more than twice as many as most mirrorless cameras. The Nikon D3400 normally comes bundled with an 18-55mm zoom lens, which is lightweight and a good complement to the camera. As always, I recommend upgrading to a ‘prime’ lens as soon as you feel comfortable with the camera, since a lens such as the Nikon 35mm f/1.8G (reviewed here) will really open the doors to what is possible with the Nikon D3400. At only 22.8 oz (645 g) with the lens attached, the Nikon D3400 was a joy to use, and I found myself reaching for it far more than my phone when I wanted to take a snap of the kids. You can also take advantage of low-light shooting without having to resort to a flash, thanks to the ISO range of 100 – 25,600. Realistically, 25,600 will produce a very noisy image, but it’s usually better to have a moment captured ‘noisily’ than nothing at all! Nikon ‘Snap-Bridge’ technology is built-in to the D3400, allowing you to transfer images in real time via Bluetooth over to a smartphone or tablet. It’s a fun gimmick, useful perhaps to those who spend a lot of time uploading images to social media. After my 3 weeks with the Nikon D3400 as my holiday camera, I have no hesitation in recommending it as one of the best DSLR cameras under $500 available in 2019 – the only challenge you may have is finding it in stock! 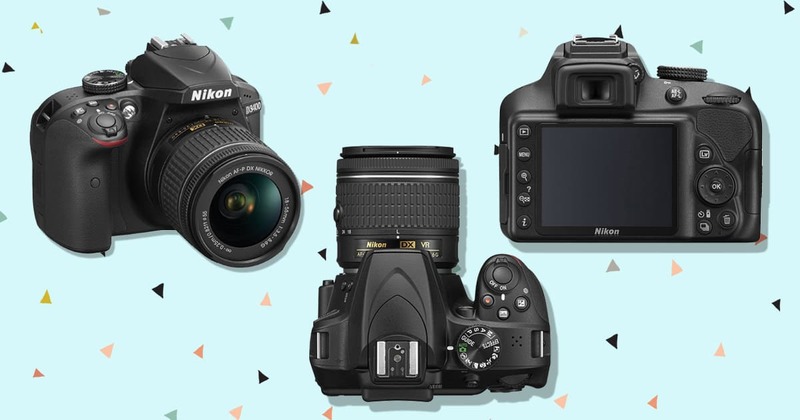 Nikon offers a range of entry-level DSLRs with similar specifications, making the choice of which to buy rather difficult. To make matters harder, several of the DSLRs cost under $500. If you can’t find the above Nikon D3400 in stock, the next best bet is the Nikon D5300 with 18-55mm lens – in some ways, it’s actually better. The Nikon D5300 was released 2 years before the D3400, but that doesn’t mean it lacks the latest technology. Strangely enough, it actually has several features lacking in other entry-level DSLRs, including the D3400. It’s also slightly more expensive (see latest price here), but in my mind, it’s completely worth it. It still offers that excellent 24MP sensor for rich, vivid and detailed RAW and JPEG files. If you’re going to be spending $500 on a digital camera, you’ll want the images to be much better than your smartphone’s, and thankfully this is the case here. There’s also the 5 fps shooting speed, meaning that you can get a succession of 5 shots off a second, perfect for capturing the moment. However, whereas the D3400 had only 11 AF points, the Nikon D5300 offers 39 AF points which are spread wider across the viewfinder. There’s also Nikon’s excellent 3D-tracking, which senses your subject and tracks it across the frame. The ISO range runs from 100-12,800, which is less than the D3400’s 25,600 maximum ISO. However, this should be taken with a grain of salt, since on an APS-C camera of this calibre, the sweet spot of low-light ability:image noise is around ISO 6,400, so the higher ISOs are largely left unused. The main reason I actually prefer the Nikon D5300 over other entry-level Nikon DSLR cameras is the 3.2” articulating screen, which allows you to get more creative with your shooting angles and compositions. If you’re shooting small children in particular, you’ll want to get down to their height when taking the shot, and the tilting LCD screen helps enormously in getting a quick, candid shot (see more tips on photographing children). There’s also built-in GPS on the Nikon D5300, which the D3400 doesn’t offer. This is great for recording where you took your photos whilst on holiday, and Lightroom has a handy map function which will help you organise your photos based on location. So, what improvements can we see in the 2 years between the release of the Nikon D5300 and the D3400? Well, battery life is a big one – expect roughly 600 shots out of the D5300, compared to 1,200 from the D3400. Is this a deal breaker? Well, batteries are affordable, so probably not for me. Then there’s a slight weight saving (395 g vs 480 g), and also the difference in price – you’ll see that the Nikon D5300 actually creeps a little over $500 with a lens included, but it’s still excellent value for money. The 18-55mm lens is versatile and delivers great results, but as mentioned before, I’d recommend you invest in the Nikon 35mm f/1.8G to get the most from your camera purchase later down the line. All in all the Nikon D5300 deserves its spot as one of the best DSLRs under $500, and if your budget allows for it over the D3400, I highly recommend you take a look. 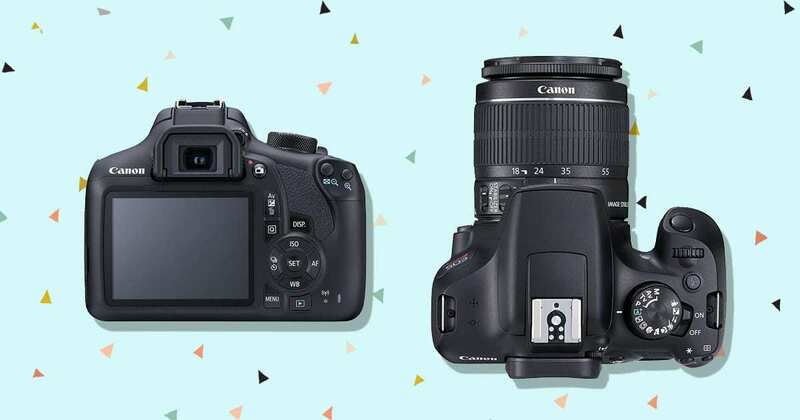 Canon and Nikon offer a lot of bang for your buck in their DSLRs under $500 – they know that if they can get new consumers ‘in’ to their brand at a reasonable price point, they’ll usually have them for life. Before you read any further, let me just say that if you can find the above Nikons in stock, I think you should consider them before this Canon. The Nikon D5300 in particular offers a lot better value for money. For this reason, I won’t go into a full review of the Canon T6 (aka the EOS 1300D) here. So why am I including it at all then?! Well, two reasons. First, the Canon T6 was actually named the best DSLR under $500 by DPReview a couple of years ago, so perhaps their more in-depth analysis is worth a read. The second reason is that I wanted to include a Canon entry-level DSLR just to give you another option on which to build your camera system. Later down the line, if you want to invest in other lenses, you’ll find there’s a greater selection with Canon, and often cheaper prices. Click the button below to check out some user reviews on the Canon T6 and make your own mind up. My money would be with the Nikons above, but for diehard Canon fans, the T6 is also a solid investment. Mirrorless cameras are the technology of the future. Small, light, and crammed with useful functionality not available on DSLRs, the best mirrorless cameras under $500 deliver a lot for the money. If you’re still undecided about what camera format to invest in, read my DSLR vs mirrorless camera buyer’s guide. An easy way to decide is to think only about the size of mirrorless cameras. If you have large hands (like me), using mirrorless cameras for long periods will be fiddly, uncomfortable and annoying. This is the main reason I still choose a DSLR over a mirrorless camera. If this doesn’t bother you, you’re in luck. 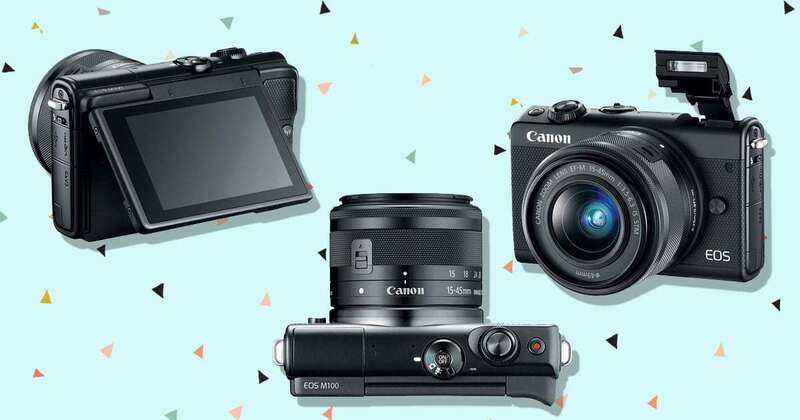 Mirrorless cameras are leading the way in 2019, and the number of amazing mirrorless cameras under $500 in this roundup prove it. Before you yell, “but where are the cameras under $500? !”, remember that with this link, you’re getting a Sony a5100 mirrorless camera body with a lens included. That’s damn good value for money if you ask me! It has to be said that the best mirrorless cameras under $500 do offer a considerable leap up in technology from the dinosaur-like DSLRs. Its autofocus technology is borrowed from much more expensive cameras, and as such, performs surprisingly well. The Sony a5100 brings 179 AF points and 6 fps to the table, meaning ultra-fast autofocus, perfect to capture all of life’s little moments as they happen. 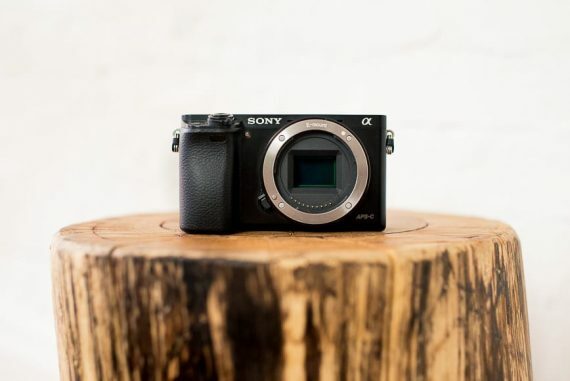 Sharing many features as its elder sibling the excellent Sony a6000 (a camera I highly recommend if you can stretch your budget – check out my Sony a6000 review), the Sony a5100 sports a 24.3MP APS-C CMOS sensor with its AF points covering 92% of the frame. What this means is that there’s an AF point ready to be moved exactly where you want focus, or you can let the camera track focus automatically for you, updating the focus point as the subject moves across the frame. 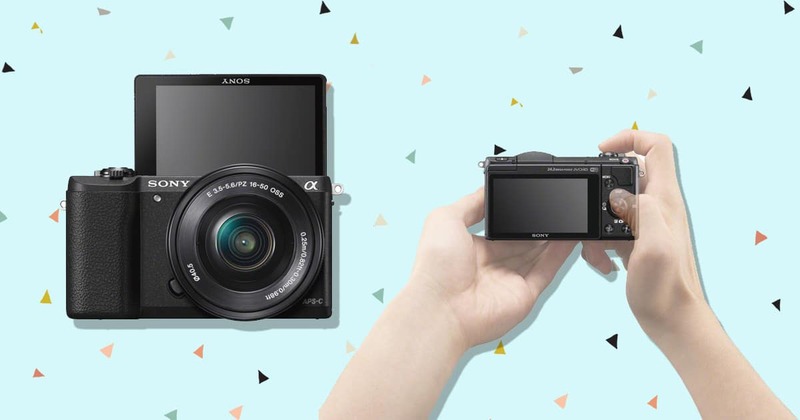 If you’re looking for a compact camera with a viewfinder, you’ll have to look elsewhere since the Sony a5100 only sports a rear LCD display – a gorgeous 3” touchscreen which can flip 180 degrees for simple selfies or for vlogging. I didn’t mention the video functionality on any of the best DSLRs under $500 (despite them all having it), since recording video on a DSLR is inconvenient to say the least. Auto focus during video isn’t possible with DSLRs at this price point. On the mirrorless Sony a5100 however, the lack of mirror means autofocus during recording works well, and the phase detection AF points track your face around the screen eerily well. Aside from autofocus that blows DSLRs out the water, the Sony a5100 produces vivid, punchy and detailed JPEGs and RAWs at 24 MP, meaning you can print 300 dpi enlargements at around 20 x 13.3 in. The 16-50mm f/3.5-5.6 kit zoom performs well and complements the tiny Sony a5100 body perfectly. If you’re looking for a pocketable digital camera set up, pairing a compact mirrorless camera with a small lens is the best option. I wrote an entire post on the best lenses for Sony a6000 owners, and any of the lenses mentioned there can be used equally well on the Sony a5100, so be sure to check it out. A decent prime lens is the best investment you can make on an entry-level camera, bringing out the most of what it’s capable of. The Sony a5100 is aimed at anyone who wants a big step-up in quality and control over their smartphone, but without the bulk of a DSLR. Its size makes it a good travel camera, but remember to try and pair it with a small-ish lens to really take advantage of its proportions. If you have the budget to upgrade the lens to something with a larger aperture (e.g. f/1.8, f/2), you’ll have an easier time blurring backgrounds and shooting in low light. Either way, this is a great mirrorless camera + zoom lens option, that’s more than worthy of your hard earned cash! The Olympus OM-D E-M10 Mark II is what’s known as a ‘micro-four-thirds’ camera (MFT). This refers to the size of the sensor, being slightly smaller than an APS-C sensor. The sensor size largely determines the size of the lens, and the MFT format was developed to offer great image quality without sacrificing portability. With the EM-10 Mark II, you’re getting a lot of the latest technology crammed into a compact body which still retains DSLR-like ergonomics. Also packed inside is the latest image processor, 5-axis image stabilization, 8.5 fps, a touch screen tilting LCD display, class-leading autofocus performance and a whole lot more. Despite it having the smallest image sensor out of all the mirrorless cameras mentioned here, I’d go as far as to say the Olympus OM-D E-M10 Mark II is actually the best camera under $500 in this list (you’ll see the price is actually slightly over $500 since a lens is included – purchasing the body alone is ofcourse cheaper). The tried and tested 16MP sensor is used across the board on Olympus mirrorless cameras, delivering very good JPEG and RAW image quality. The dynamic range performance when editing a RAW file is impressive, providing a good degree of post processing latitude at low ISOs and no more noise than is expected at higher ISO settings. Typically, the smaller the sensor size, the more limited the high ISO capabilities (ability to shoot in low light without a flash). Thankfully, Olympus MFT cameras perform competitively, being almost on par with APS-C cameras, meaning you’ll be able to forgo the flash for a good while after sunset. If you really want to take advantage of low light shooting (and blurred backgrounds for subject separation), I highly recommend upgrading the kit lens to something like the Olympus M.Zuiko 17mm f/1.8. Expensive as it may be, this is the single biggest upgrade you can make for your Olympus OM-D E-M10 Mark II, bringing image quality in line with DSLRs costing twice the price. You can see examples of what’s possible in my review of the Olympus OM-D E-M5 Mark II, which has the same sensor as the E-M10 Mark II. The autofocus is incredibly responsive and accurate (far more so than DSLRs costing 3x the price, in fact). I absolutely love the ability to touch your subject on the rear LCD, to have the Olympus OM-D E-M10 Mark II focus and shoot in a split-second. Being able to shoot a subject without even raising the camera to your eye is perfect for capturing candid photos, and great for photographing children. 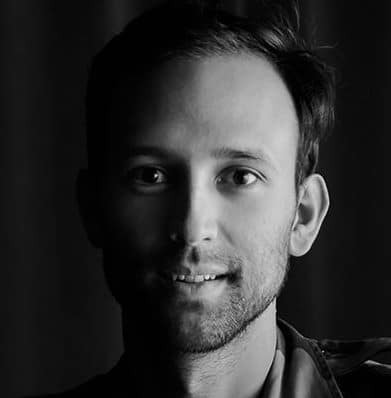 Face and eye detection in autofocus is also hugely rewarding for shooting portraits, and especially useful when you don’t have time to select an AF point manually. Another thing I love about the Olympus OM-D E-M10 Mark II, and the reason for my preference of it over the other best mirrorless cameras under $500 on this list, is its styling and ergonomics. Borrowing from the classic Olympus OM film cameras of old, the Olympus OM-D E-M10 Mark II features well-placed dials which mimic professional-level DSLRs. This means you can adjust all your exposure settings quickly and easily, without having to delve into the menu. Speaking of the menu system, this is the only area that really lets the camera down. The Olympus mirrorless camera menu is notoriously deep and confusing, so once you have your camera set up, it’s preferable to stay clear of it! If you’re looking for a lightweight, compact camera with ergonomics that make sure that it doesn’t feel like a bar of soap in your hands, the Olympus OM-D E-M10 Mark II should be at the top of your list. It offers a lot of camera for the money, and will stand you in good stead in your development as a photographer. It’s taken a long time for Canon to release a mirrorless camera, but it finally happened in 2017 with the pocket-sized Canon EOS M100. Whilst it wasn’t the DSLR-beating Canon mirrorless camera many were hoping for, the Canon EOS M100 represented a step in the right direction, and has been a hugely popular camera for all level of photographer. 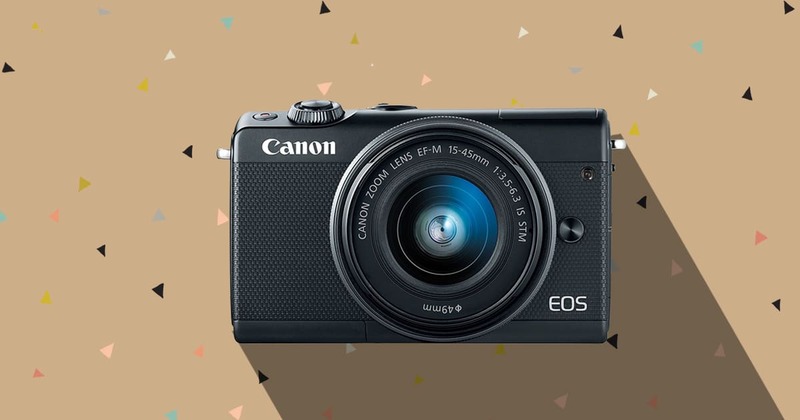 The advanced technology of the 24MP APS-C sensor and Dual Pixel autofocus system is borrowed from cameras much higher up in the Canon range, meaning that the Canon EOS M100 is one of the best cameras for the dollar available this year. The Dual Pixel autofocus delivers fast, accurate tracking, and coupled with the responsive, 180 degree tilting touchscreen, this compact mirrorless camera really is a lot of fun to use. Video shooters will appreciate the ability to ‘rack focus’, simply by dragging a finger across the touchscreen from one subject to another. This advanced feature isn’t normally seen on a compact camera, let alone a mirrorless camera costing less than $500. As for image quality, Canon knows what it’s doing with colours, and the JPEGs out of the Canon EOS M100 look great. With the selfie-friendly rotating screen, a skin smoothing/background blurring feature, interchangeable camera ‘jackets’, Creative Filters (e.g. grainy film, fish-eye etc.) and Wifi for quick image to smartphone transfer, it’s clear that the Canon EOS M100 is aimed at the social media generation. Weighing in at only 266g (9.4 oz. ), the Canon EOS M100 is small and light enough to be carried anywhere, with its form factor being compromised only by the lens you choose to attach. On the topic of lenses, the 15-45mm does a good job in a versatile focal range, but I’d recommend investing in the dinky Canon EF-M 22mm f/2 STM lens to really start seeing the capabilities of this little camera (not to mention making it more compact). There’s already a solid range of EF-M lenses available for the M100, but where it gets especially interesting is if you invest in an M Mount Adapter to shoot with EF and EF-S lenses. This opens up a world of creative options, and allows you to take advantage of any of the best Canon lenses – my first choice would be one of the lightweight primes. However you plan to use your Canon EOS M100, you’re in for a lot of fun. With fun features that reflect the kind of user it’s aimed at, this compact Canon mirrorless camera offers some of the best image quality you can get in a camera of this size, and I wouldn’t hesitate to recommend it. Compact cameras also fall under the heading of ‘mirrorless’ cameras, since they don’t rely on a mirror like a DSLR. However, I’ve chosen to keep this category for compact cameras under $500 with 1 inch sensors. Typically, the smaller the sensor, the smaller the camera, and this is the case with these compacts, which can be slid into a jeans pocket and carried comfortably all day. Smartphones and other compact cameras often have smaller sensors than 1 inch, and this usually means they struggle in low light. The compact cameras recommended below produce great image quality even after sunset, and represent a solid upgrade from any smart phone or smaller sensor’d point and shoot camera. Here’s a link to a special offer on the Canon PowerShot G7 X Mark II on Amazon which is currently available. It’s a little over our $500 budget, but it’s such an excellent bargain that I had to include it. Building on an impressive 20.2MP 1″ sensor, the 24-100mm equivalent lens is the real stand out feature, offering an aperture range of f/1.8 – 2.8. Having an aperture this ‘fast’ allows you to shoot without a flash in low light, without having to resort to higher ISOs which may bring about a noisy image. Read this post on understanding aperture if you want to learn more about how fast apertures can help. The ISO performance on the Canon PowerShot G7 X Mark II is actually good for a sensor of this size, but shooting at lower ISOs is always favourable. The fast aperture range will also produce images with blurry backgrounds, helping to separate the foreground subject – your smartphone may be able to do it with AI, but it’s not as efficient as using a dedicated camera to do it. For such a compact mirrorless camera, the Canon G7 X Mark II has excellent ergonomics, with a raised, rubberised grip. 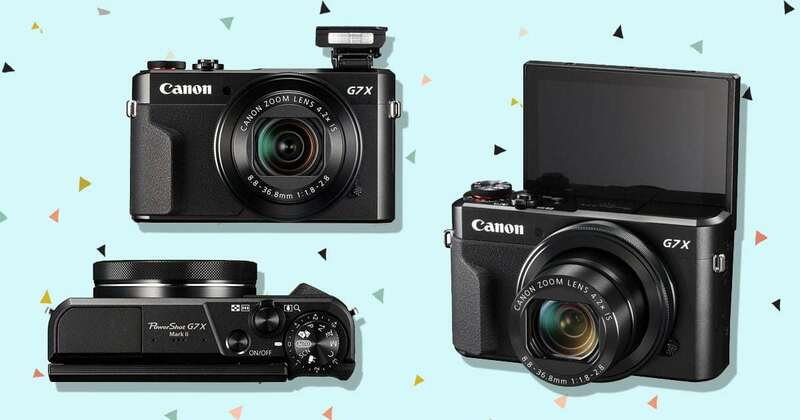 Packing a 24-100mm zoom into a camera that can easily slide into your pocket is no mean feat – the Canon PowerShot G7 X Mark II is the smallest in this roundup of the best cameras under $500, and provides a significant step up in image quality from your smartphone. Physical knobs and buttons provide quick access to all the manual exposure settings, or you can leave the camera on Auto to get an accurate exposure in most situations. A new processor allows for better face detection, and provides snappier shooting and operation speeds than the previous model. 8fps (both JPEG and RAW) and accurate AF will make sure even fast-moving subjects can be captured with ease. Whilst it lacks a viewfinder, the tilting LCD touchscreen on the G7 X Mark II is responsive and fast, and the menu easy to navigate. As a unique feature to the Canon PowerShot G7 X Mark II, ‘Dual Sensing IS’ helps to reduce blur caused by camera shake. This is especially helpful when shooting at the 100mm end of the zoom, where even small camera movements can cause blur on other cameras. The only small area of concern is battery life, which at around 265 shots per charge, lags behind its competitors – if you’re traveling or shooting a lot in a day, invest in one of these spare batteries. 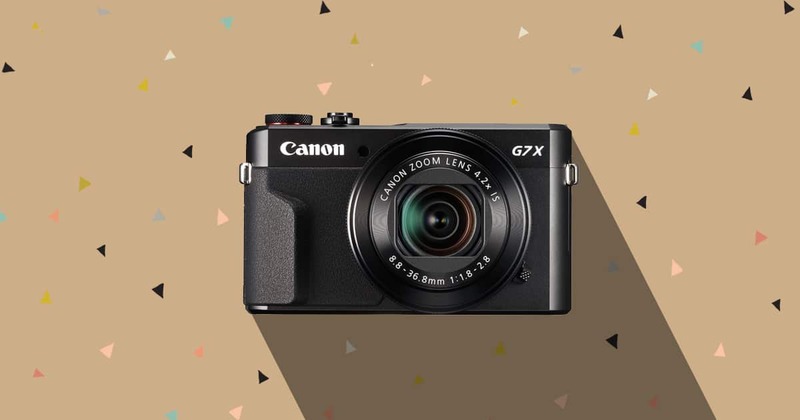 If you’re lucky enough to find the Canon PowerShot G7 X Mark II for around $500, snap it up – despite the lack of an International warranty at this sale price, it’s a reliable, solidly built camera that won’t let you down. Yes. I’m writing this roundup of the best cameras under $500 in 2019, and yes this Sony RX100 was released in 2012 – get over it! Cameras don’t need to be the very latest to be great at what they do! If you’ve only got 500 bucks to spend, ignore the 4 more recent versions of this camera and stick with the one that rewrote the rule book for what is capable with a compact camera. 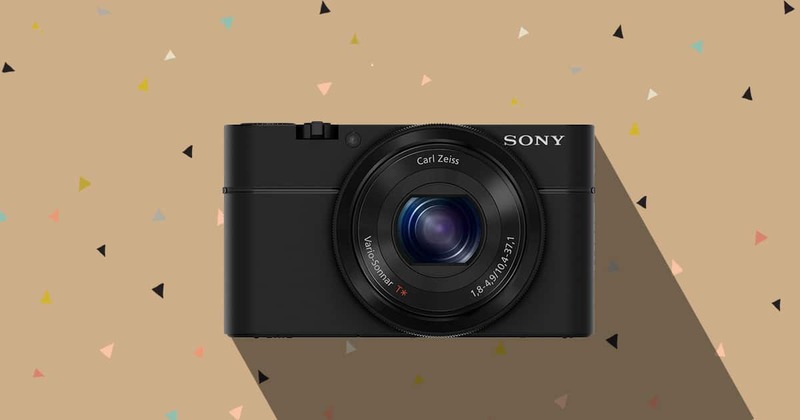 The Sony RX100 was the first camera to put a 1″ sensor into a camera you can slip into your back pocket. Whilst a 1″ sensor is smaller than an MFT and APS-C sensor, it still offers imaging performance that’s unrivalled amongst other compact cameras. 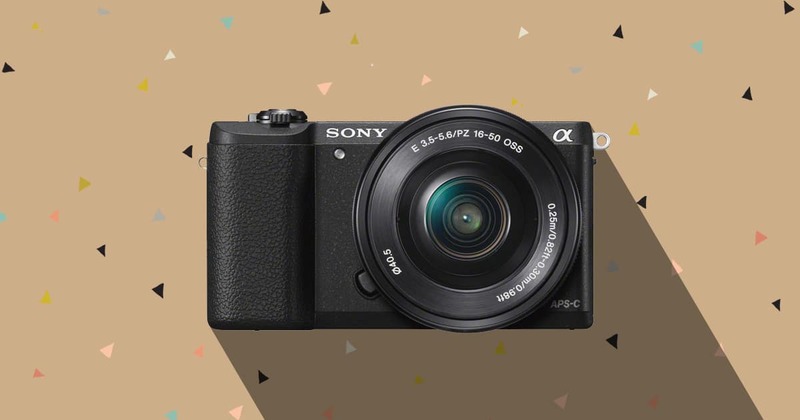 Check the latest price of the Sony RX100, as last time I checked, it was the cheapest 1″ sensor compact camera on the market. This makes it a great option if you’ve only got $500 to spend, but still want a camera with you at all times (that’s much better than your smartphone). I don’t care if you have the latest iPhone X or Pixel 2, the Sony RX100 will wipe the floor with them! The 20.2MP sensor coupled with the 28-100mm f/1.8-4.9 zoom lens (3.6x zoom) is all you’ll ever need for most situations. Shooting at an aperture of f/1.8 means that you can capture candid shots in low light without having to resort to flash, and if you’re close enough to your subject, you can get that coveted blurred background look too. It should be mentioned that with a viewfinder-less compact cameras such as the Sony RX100, you’re buying a tool to record memories more so than a tool to progress as a photographer. In my opinion, you really need a camera with physical exposure dials and a viewfinder to really feel like the camera is ‘part of you’… but maybe I’m just old fashioned! Having said this, the Sony RX100 does offer fully manual controls for those who wish to learn. Face recognition and 10 fps (!) will ensure you don’t miss your shot, and typical of Sony, the movie functionality is second to none at this price point. JPEG and RAW image quality is great, and much better than you’d typically expect from a pocketable camera of this size. The lack of dynamic range is consistent with its 1″ sensor size, but the Sony RX100 does a good job at nailing exposure and white balance, so there’s not much need for post production. If you need the smallest possible camera with decent image quality, the Sony RX100 is a good bet. 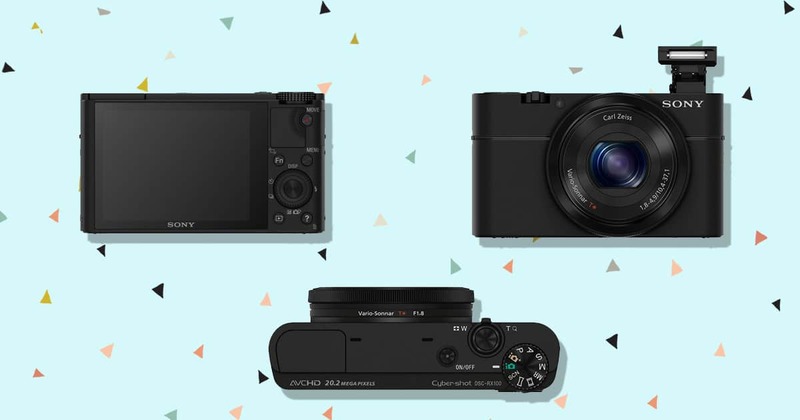 Although it can’t quite compete with the other mirrorless cameras on this list, it’s definitely a camera you can keep comfortably in your back pocket all day long. Hi Mark! love your reviews! I used to be a Nikon fan, but something about Canon and Sony that made me rather unfaithful. 0_0 Nikon truly is easy to use, and with an illustration displayed on the screen, it makes understanding shutter speed, aperture and ISO easier to understand. Now, Canon became a bit of a challenge for me. Simply because I got used to the displays of Nikon cameras. Nevertheless, once I got the hang of it, I noticed how versatile it was and the end result, I just love the images and videos I get from the Canon camera. My experience with a Sony mirrorless camera is just as exciting as well. Love the weight and the low light scenes are still clear! Suggestions for something in this price range that would take good action shots. I want pictures of my kids playing sports. Thanks! Have fun with the binge Lorraine and thanks for the kind comment! Thanks Ijaz! I’m going to be writing some more posts on the more budget-friendly cameras and accessories soon. Hi Mark. Thanks for the great review. I’m buying something to take pictures of my kids and I want to take it with me when we go out. Some people tell me to buy DSLR, but I always say the same thing as you wrote in your review – I’m not going to carry it around together with my kids. I would buy the RX-100, but it is still a bit too expensive for me. What would you recomend from: Sony WX350, Sony HX60 and Canon SX710 HS? Thank you so much. Hey Beren, I think that’s wise of you! All those cameras are great, so I’d make the decision based on how each feels in your hands. Take special note of the button placement, weight and shape of the camera to make your final decision. Hope that helps! Hey there, many thanks for this post. 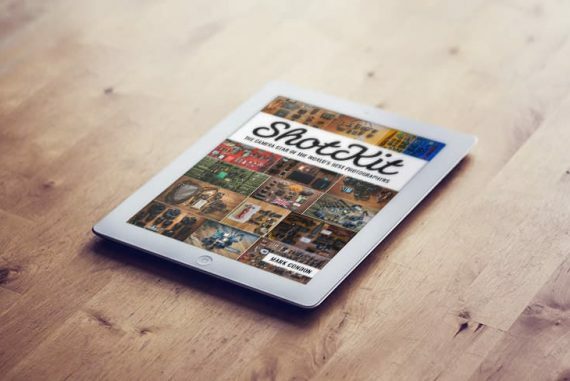 I have to admit your website is one of the best ones I have seen about camera gear. Nowadays many of them are full of adds and you offer great content without showing hundreds of popus. Just wanted to let you know how grateful I am for offering great information whitouht disturbing the user. Keep up your nice work! This is my only comment…..I left my Powershot A620 in the box for one year, afraid I wouldn’t understand how to operate it. Then. I started using it and loved it. After while I noticed that the LCD was rather small and didn’t function well in bright sun but mostly it was OK and took great pictures. I take many pictures of wildflower, moths, butterflies and other insects. Then, One day the lens didn’t pop open and that was the end. So, I’m looking for a new one and figured I would have to spend about $500 for the same quality as my canon. Your column was very interesting even though several of the cameras you listed have jumped in price ( more than $200 in some cases) and unfortunately the ones that took my interest. So, what would be the camera closest to my former, now deceased, Powershot? It’s a tough one, Elizabeth. If you like the Powershot series, I’d stick to them and just find the one that suits your budget. Hey great article. This helped out a lot. Which of these would you recommend if im mostly just recording? I was thinking the D3300. Would like a second opinion if possible. Thanks in advnce. These recommendations are from a stills perspective. The D3300 would handle movie recording just fine though. It’s a great camera if you’re a fan of a slightly wider field of view that’s fixed. I’ll be reviewing it soon. Very similar end results from those two cameras Parth. Great site with loads of information! What about samsung nx500? ? Its reall great camera (photo quality&4k recording&small size&good iso&finally price is so good as well. …so….?? Olympus Tough TG- 4 Worked nicely with me. Awesome camera at low price. Thanks for this guide! Great and informative website! I am in the market for a new point-shoot camera. I have been using Sony cameras over the years, and the last one was DSC-H70. I am trying to decide between DSC-RX100 and DSC-HX90. Which are your thoughts and the pros and cons between those two? I agree about the Nikon D3300 being a great option. Nikon now offers the D3400 as an upgrade to the D3300 as well. Hi great post. I owned the Olympus Tough TG-4 for a while but, as you mentioned, found the image quality poor. There were also problems of focus with any debris in the water. Thanks for the feedback, John. I think that making a camera of this price waterproof does have certain drawbacks to what the lens can achieve. Ive only just found your website and want to say thank you so much. Some great advice on here and so much to read and get through. Glad you like it, Shaun! First of all, great website and very useful information, including for novices such as myself. Quick question though, I’m assuming the dollar amounts in which you write are US$ right? I just had a look for the Sony DSC-RX100 and its RRP in AUD is $649. Hey Martin, yes that’s right. For those of us in Australia, we’ll always be jealous of those US prices! the canon t2i was the predecessor to the t3i and is still a great camera that i now have as a backup (still works). you can find these used very cheap. I’m looking for a camera that will take high quality photos for personal and professional use but on a budget. I don’t want to spend more than $400, but I don’t want to sacrifice quality so I would consider spending more. I want to be able to take photos of action (fitness) shots and indoor shots in places with not the best lighting. I would be traveling with it so size is a factor. I will be using these for web banners, Facebook, etc. being able to upload them quickly is a huge plus. It’s hard to recommend something Krista since there are so many variables, but I’d recommend saving up an extra $100 and choosing any of the ones in this post based on size and how they feel in your hand. Hope that helps! I read your article, and it’s really great, and very helpful. I can’t decide what camera to buy… I travel a lot, so I need it mostly for traveling, holydays, and indoor photos. I had Superzoom Panasonic Lumix FZ45, but I wasn’t really satisfied with that camera. Now, after reading this article, I think maybe Mirrorless or Point and Shoot. At first, I wanted DSLR, but after some reading, I don’t think that is a best choice for me. What would be your recomendation for camera from 200$- 400$? Many Thanks! I was considering getting my first DSLR as I want to get into photography, but decided they are just too big and bulky for my use case. I’m moving from the UK to China – so probably lots of street/travel photography. Good video would be really nice, but its probably not a priority. Budget is a bit lower than this article (£200- £400), but I’m likely to buy a second hand ebay bargain. Which model would you recommend? Many Thanks! Hey Cal. You’ve short-listed some great cameras there. I’ve owned the X-T10, and used all the others you mention too, and can say first hand that they’re all capable of producing a great image. I think that if you’re looking for street/travel camera, the main factor should be size. The cameras with interchangeable lenses offer great flexibility, but size-wise, you can’t beat a fixed lens. Maybe wait for the new model Panasonic to be released, then if you don’t need the new functions (I doubt they’ll change the sensor), buy the current model on sale. Good luck! I must thank you profusely for this. My Canon SX50 suddenly, and hugely disappointingly, developed the Black Screen of Death after only 2 1/2 years, stuck shutter, requiring me to purchase yet another camera when I wasn’t expecting to. Your upbeat, thorough, and enthusiastic writing calmed my freaked-out-ness and your perfect amount of “dumbing down” was, well, perfect for me. Just wanted to let you know how much I appreciated your help. To let you know too, as time and the internet does, some of these are hard to find and prices have changed but obviously it’s impossible to keep up. I ended up purchasing the Fuji X-A1 based on your recommendations and I look forward to years of happy snapping. I will definitely be sharing your post on my blog as well at some point soon. Thank you!! What are your thoughts on the Panasonic G7. I’m interested in the 4k video. I’ll be needing a camera for family use and a bit of amateur film-making. Thanks. It’s an excellent camera Callum – good for stills and movies. What about Nikon 1 J5. Is it good enought to match x-a1 or e-pl6 for example? 12 months ago I ditched super heavy full frame gear and switched to 1 body and 1 lens…..FujiXE2 and Samyang 12mm……….best move ever! Can’t compete with the 50x zoom! Also I like the flip out screen on the Sony. You should not overlook the fact that the Sony superzoom has only the sensor size of a basic point-and-shoot. But its fixed Carl Zeiss lens is hard to beat. What would you recommended for a fitness channel? I will be vlogging, filming workouts and taking fitness model type pictures. Help! Hi Mak. Thanks for the comment. I’d recommend either of those two Nikons – they’re both excellent entry level dSLRs. Just remember that your budget will have to extend to a lens too – I’d recommend a Nikon 50mm 1.8 as an affordable starter prime lens. Good luck! Hi Mark- any advice on which one of these are best for low-light shots? and the best for action shots? more specifically shooing concerts / equestrian show jumping. Would love to know! That’s a tough question KB but I’d say go for either the Nikon or the Canon dSLR. Both will handle higher ISOs better than the other cameras which have smaller sensors. Then you’d need to invest in a fast lens (a good affordable option is a 50mm f/1.8) to help you with low light shots. As for the action element, whilst neither of these dSLRs have blazing fast frame rates, they’re both more than adequate for most things, and the continuous auto focus should be better than a mirrorless camera too. I hope that helps! What would better suit an amateur photographer: a high-end Point-and-Shoot or a relatively low-end Compact System Camera? hello. thanks for your post. I want to buy a camera under 500$ but I want to take film with camera. please tell me best choice . For film cameras Leila, I’d really recommend you go to your local second hand camera store and have a play around with whatever they have. It’s hard to recommend a film camera since it boils down a lot to user preference and what is available at the time. Good luck! My Nikon D5200 has gone way down in price. I have seen it under $500.00! Ah interesting! Thanks for letting us know Amy! Hi Mark, thanks for your post. It’s really helpful. I want to buy a mirrorless camera for traveling. What do you think about Samsung NX300? I like their retro style and tilting LCD. Or do you have any other recommendation? Hi Mark! I’m looking for a nice camera to give as a gift.. I’m leaning towards the point and shoots. Would it be worth it to spend an extra $100-$150 to get a Leica C or D-LUX 6 on sale? I have the Canon S100 and I really like it. It has some things I would change, but as far as not carrying around my Canon pro gear, it does the trick! The only thing is that you need extra batteries and it’s only fast at 24mm. It shoots raw and video is pretty decent. hey mark, nice post of you, i like to buy a dslr camera because i want to capture the moment at my house and especially my mom, i’m thinking d3200 or d3300 as my option, but i’m considering more about sony, like sony alpha a3500, imho because i think that sony got better sensor than the others, because evey smartphone now use sony camera, what do you think and suggest? thanks mate! What about the E-M10? I have an entry level DSLR and was looking for something smaller for street photography, without breaking the bank. Yep the Olympus OMD range are awesome cameras too Andy. My choice would be the EM-5 but the 10 is also excellent. Yeah, just trying to cut cost down. The E-M5 m2 would be my first choice but it’s a lot more than the 10, where I am anyway. Nice post and very helpful. I’m buying a DSLR and the nikon d3200 seems to be the one, do you have any suggestions for night timelapses? is it the t3i better? I live in a region wich has one of the clearest skies in the country (Chile) with stuning landscapes. Hi Felipe. For a night timelapse, any of these cameras with this functionality combined with a sturdy tripod and perhaps a remote shutter release would be perfect. I look forward to seeing your pictures! nice article btw, very helpful! Good spot Ryo! I’ll correct that now! Yeah size is a big concern for sure! The quality of the pics from mirrorless and point and shoots has come along so much recently that I don’t think you can go wrong with any of the camera recommended here. Thanks for the comment!